About 850 years ago, a usurping Rajput prince sought the counsel of a hermit who lived in a cave on top of a rocky hill. The prince was Jaisal, of the Bhatti clan; the hermit was Eesul, an oracle; the hill was Tricuta, a triple-peaked rock, and the outcome of that meeting was the foundation of Jaisalmer, the Rock of Jaisal, in 1156. Prince Jaisal had been appointed regent to his young nephew on the death of his brother at Lodurva, capital of the Bhatti Rajputs. He had betrayed that trust and seized power in his own right. but was uncertain of commanding the loyalty of his vassal princes. Fearing an uprising, he wished to move his capital to a less vulnerable site than Lodurva. Having heard of the prophetic powers of the hermit, he decided to consult him. The meeting proved fateful, for Eesul related a compelling myth about Tricuta, the place of his hermitage. Centuries ago, Lord Krishna himself had predicted that, in time to come, a distant descendant of his Lunar clan would rule from Tricuta. This fired Jaisal’s imagination, for the Bhattis claim descent from the Chandravansh or Lunar clan, and he determined to build his new capital on Tricuta. He was not discouraged by the oracle’s warning that the fort he built would be sacked at least twice. The history of Jaisalmer is as turbulent as the character of its bandit chiefs would lead one to expect. Ferociously independent, inordinately proud of a tenuous “divine” lineage; brave, even foolhardy in battle and often treacherous as allies, the Bhatti Rajputs were the most feared of all desert marauders. When they were on the rampage, the gates of neighbouring fortresses were closed and the cowering citizens bared their doors and windows against these “wolf-packs of the wastes”. Their major opponents were the powerful Rathor clans of Jodhpur and Bikaner and endless battles were waged for the possession of a petty fort or meagre waterhole. Cattle-Stealing was a major pastime, along with falconry and the hunt. The main source 01 income was the forced levies on the great caravans that travelled the ancient Spice Route on their way to imperial Delhi. With the coming of the Muslims in the 13th and 14th centuries, the nature on the conflicts changed. The new enemy was not given to playing war-games according to a chivalric. if bizarre, code of conduct. The outsiders were here to found an empire and to spread Islam. However, since Jaisalmer was situated deep in the desert, it escaped direct Muslim conquest. The Rawals, us the rulers were styled, agreed to pay an annual tribute to the Delhi Sultans in order to preserve a circumscribed independence. Unfortunately, the Bhatti rulers could not always control their unruly vassal chiefs. The dire prophesy of Eesul, that the fort would be sacked, came about by their own rash actions. The sieges of Jaisalmer arc the subject of traditional ballads about Bhatti heroes. They are still sung at fairs and festivals by hereditary bards, the bhats and charms, and are the only record of the clan in medieval times. Although elaborately embellished with fabulous deeds of valour, they form the oral history of the period and have inspired the people during difficult times. According to the ballads, the first siege occurred during the reign of Allauddin Khilji (1295-1315 AD), provoked by a foolhardy raid on the royal baggage caravan. For seven long years, the besieging army tried to starve out the defenders. Finally, they breached the ramparts, and the Bhattis, facing certain defeat, proclaimed the terrible rite of johar. Once the women and children had perished by sword or fire, the men, clad in ceremonial saffron and intoxicated with opium, opened the gates and rushed out to meet a heroic death. The second defeat followed a daring raid on Sultan Ferozeshah’s camp at Anasagar Lake, near Ajmer. 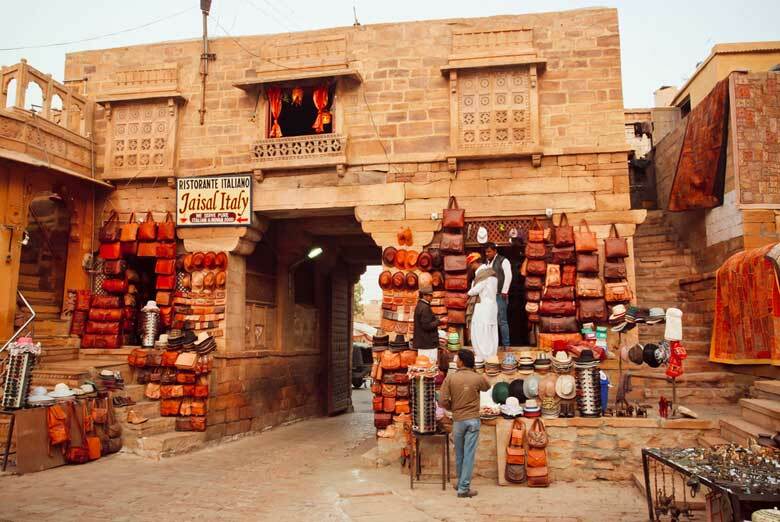 Jaisalmer was once again overrun and the dreaded Johar repeated. The “at least” part of the prophesy came much later, in the 16th century. A friendly Pathan chieftain persuaded the Rawals to permit the begums of his harem to pay a courtesy call on the Rajput ranis but actually filled the palanquins with armed soldiers who attacked the palace guards. In a moment of panic, Rawal Lunakaran slew several of the princesses of his family, to prevent them being carried off by the intruders, who, as it happens, were beaten off. Once the Great Mughals established their empire, relations between the imperial court and Jaisalmer stabilised. Several princes served as commanders of the Mughal forces and Bhatti contingents fought in the Mughal army. Royal princesses were married to Mughal rulers and a Bhatti consort of the Emperor Jahangir was the mother of his eldest son. Unfortunately, this prince so distressed his mother by his incessant intrigues and rebellions against his royal father that the Rajput queen, true to the stern code she had been brought up in, killed herself to atone for her son’s infidelity. 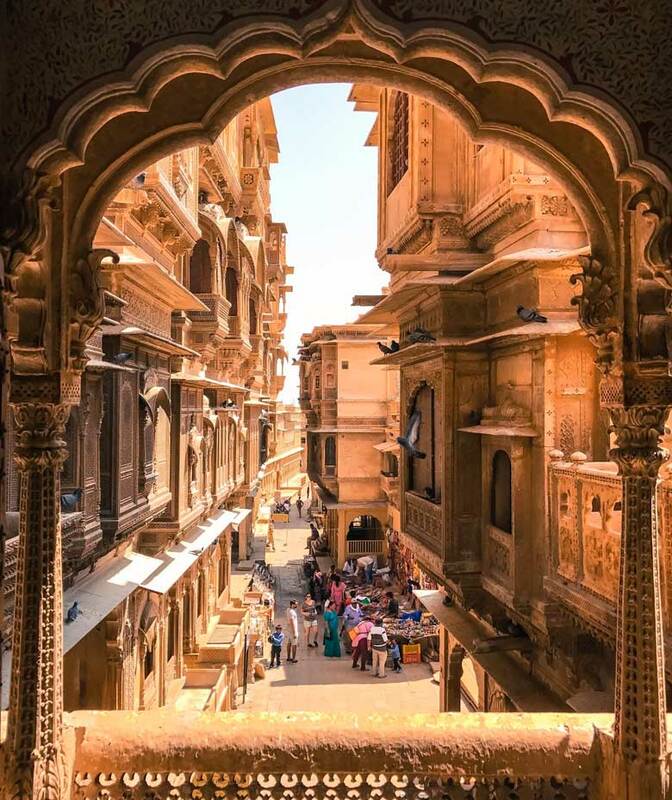 With the opening of Mumbai’s port in the 18th century, the hazardous overland Spice Route lost its importance, and Jaisalmer its main link with the outside world. Gradually the remote desert outpost dwindled in fortune and, in the days of British India Jaisalmer was the least known of the Rajputana principalities. It was the last to sign the Instrument of Agreement with the British, drawn up by Colonel James Tod, the political agent — possibly the first British person to set food in the legendary stronghold of Jaisalmer. Today, the fort is the centre of the largest district in Rajasthan. 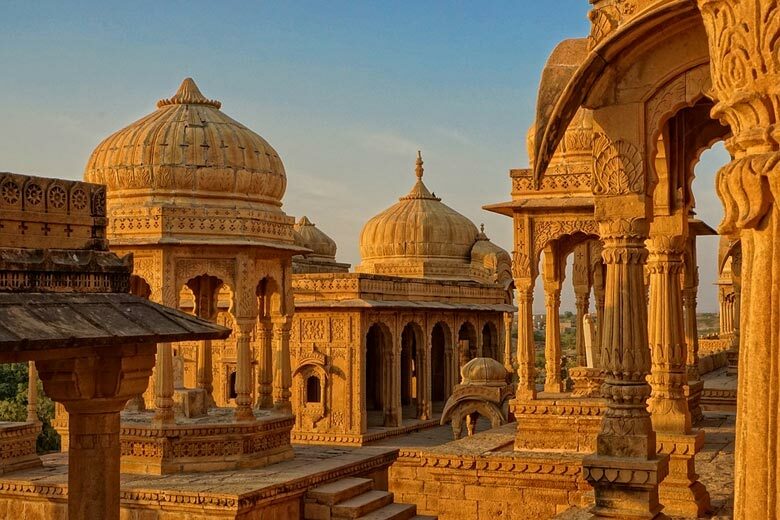 For anyone who wishes to understand the true spirit of historic Rajasthan, Jaisalmer is a rich source of sights and impressions. 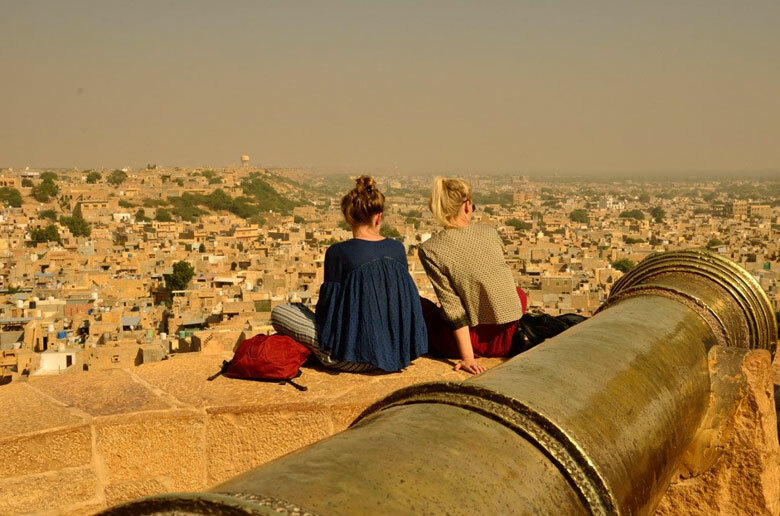 To know more about Jaisalmer and other interesting tourist destinations in Rajasthan, contact Swan Tours who have been promoting Customized Rajasthan Tour Packages since 1995.